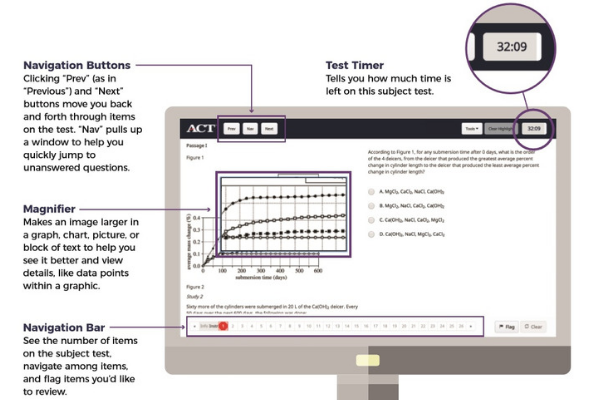 Taking the ACT university admissions test on a computer isn’t that different from taking the test on paper. The test’s content and scoring are the same, and universities accept scores from either mode of the test. Students can also use scratch paper, just like they would while taking the paper test. 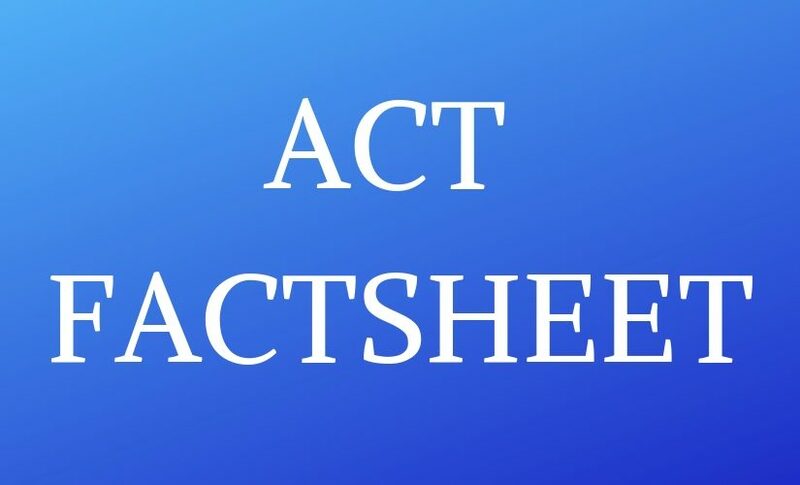 However, ACT computer-based testing does offer some great tools to help examinees do their best and achieve their university and career goals. Navigation Buttons: Clicking “Prev” (as in “Previous”) and “Next” buttons move you back and forth through items on the test. “Nav” pulls up a window to help you quickly jump to unanswered questions. Magniﬁer: Makes an image larger in a graph, chart, picture, or block of text to help you see it better and view details, like data points within a graphic. Navigation Bar: See the number of items on the subject test, navigate among items and ﬂag items you’d like to review. Highlighter Highlights: words and phrases in a test item to help you remember or sort out important points while you’re reading. Line Reader: Pulls up a window that emphasizes a single line in a block of text, helping you separate that line from the text around it (and focus on important content while ﬁguring out your response). Answer Eliminator: Crosses out answers that you know are incorrect, helping you narrow down your choices. Answer Masking: Hides answers that you know are incorrect, helping you narrow down your choices. Test Timer: Tells you how much time is left on this subject test.